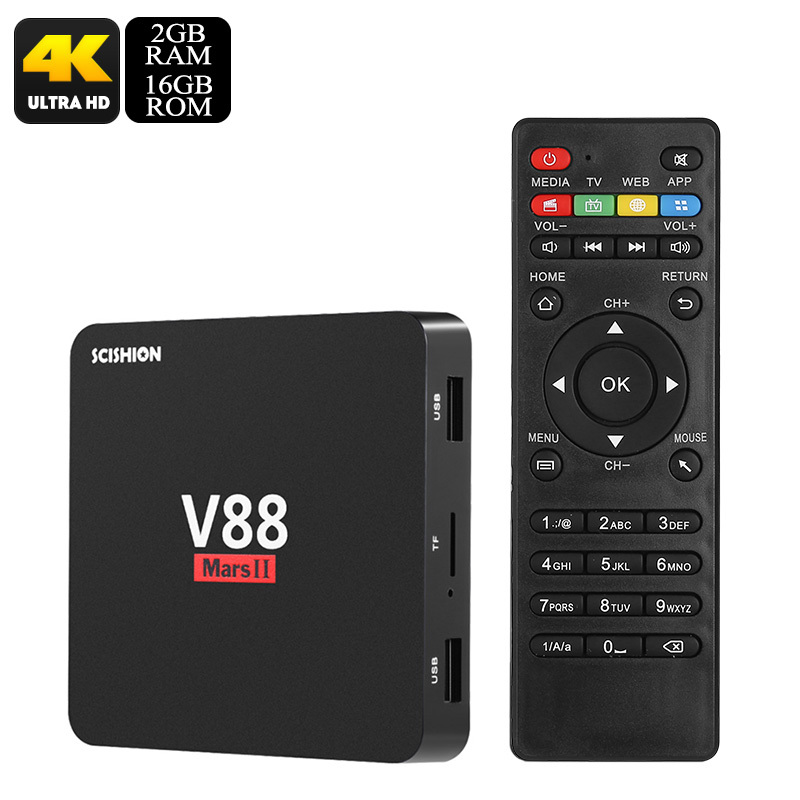 Successfully Added Scishion V88 Mars 2 TV Box - Quad-Core CPU, 2GB RAM, 4K Support, WiFi, Miracast, DLNA, Google Play, Kodi 16.1 to your Shopping Cart. Bring Android into your living room with the Scishion V88 Mars 2 TV Box. This Android TV Box packs a Quad-Core processor and 2GB of RAM. Along with its Android 6.0 operating system, it lets you enjoy the latest media of your liking. Whether it’s basic Android games, films, or series - this Android media player handles it all. Simply head out to the Play Store or Kodi TV where you’ll find millions of free media files for your entertainment. With its WiFi support, this Android TV Box lets you download them all straight onto your TV. The Scishion V88 Mars 2 TV box brings along hours’ of fun and entertainment, guaranteeing that you’ll never have to feel bored again.